(Newser) – Move over, HSBC: A new British bank is in the crosshairs thanks to its relations with Iran. 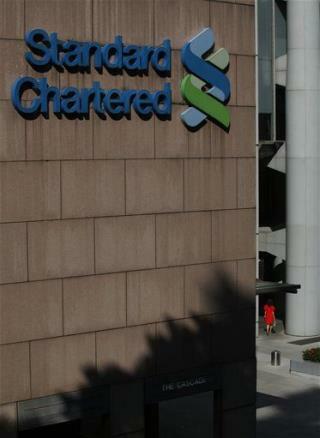 New York banking regulators today accused Standard Chartered Bank of helping Tehran hide some $250 billion in transactions between 2001 and 2010, and pocketing hundreds of millions in bank fees in the process. And the New York State Department of Financial Services says the "rogue institution" lent a similar helping hand to other sanctioned countries like Burma, Libya, and Sudan, the New York Times reports. The bankers making money HIDING records of $250 billion dollars of IRANIAN BUSINESS. It's like the Swiss bankers who got rich on Jewish gold in WWII. The poor families children fight & die for the wealthiest families money. This has been going on for a long, long time with sadly no end in sight. War what is it good for? War & Sanctions are money in the bank is given even more meaning after reading this.